Have you ever visited a cemetery in search of your ancestors' graves and felt like you were playing a game of Hide-and-Seek? During last year's family history road trip, a visit to the Rossville Cemetery in eastern Kansas revealed that two 3rd great-grandparents (each from a different family line) did not have a headstone. Let me tell you, Hide-and-Seek isn't any fun if there's nothing to find! 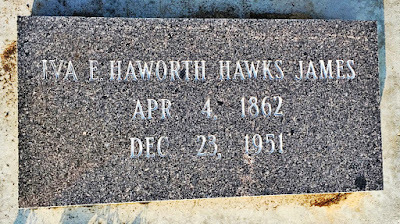 Where were William Lumpkins and Iva Elzina (Haworth) Hawks James? The cemetery had no record of where they were buried. At least no record by name. The cemetery's map did include information on occupied plots, but, unfortunately, record keeping from the time of their passing didn't demand the inclusion of the occupant's identity. About ten years ago, descendants of both William and Iva began collecting funds to pay for the creation of headstones. Enough money was collected and the stones were created. The cemetery required a professional to place the memorials. Busy schedules prevented that from happening in a timely fashion. Eventually, the headstones were forgotten in storage and sat unnoticed collecting dust for years. The graves remained unmarked. After my visit to the cemetery last year, I was reminded that stones had been created and was determined to have them placed. From published obituaries, I was able to confirm that William and Iva were in fact buried in Rossville. William's 1909-published obituary noted that he was laid "to rest beside the wife in the Rossville Cemetery to wait for dawning of The Morning." His wife Phoebe (Howerton) Lumpkins had pre-deceased him in 1887. Her grave is on a hill and marked with a beautiful obelisk that towers above nearby monuments. 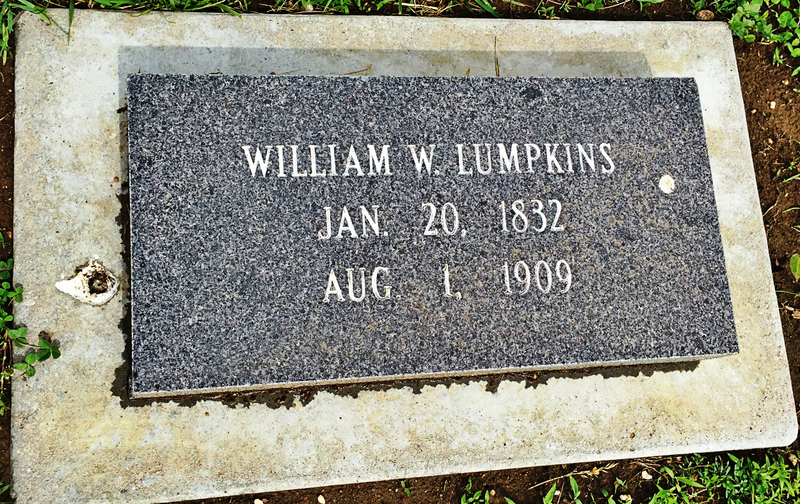 The cemetery's map indicates a burial beside her, which (based on the obit) we deduced must be William Lumpkins. Put a stone on that grave! Photo by Linda Mitchell. Used by permission. I was able to employ the same strategy to locate Iva's burial. Iva remarried after her first husband Edmond Oscar Hawks, my 3rd great-grandfather, passed away. Her second husband was Robert James. Was she buried beside her first or second husband? Her 1951 obituary held the answer, stating simply, "Burial was in Rossville Cemetery." Robert was not buried in Rossville. In fact, he was buried in another cemetery beside his first wife. 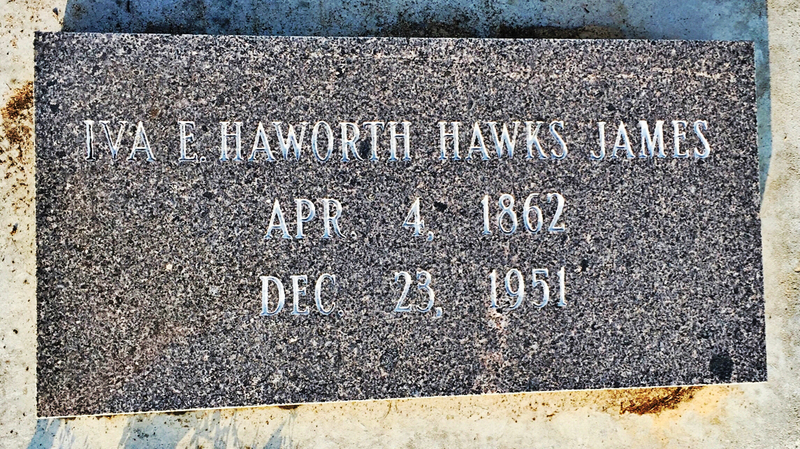 An empty plot was beside Edmond Hawks' marked grave. Cemetery records confirmed that it was occupied. The most likely occupant was Iva. It's gratifying to finally have their graves properly marked. In some small way we've restored their identities and affirmed their existence. They're no longer forgotten.